Albert André | Stoppenbach & Delestre Ltd.
Albert André began his artistic career in his native town of Lyon, designing patterns for silk the city's main industry. In 1889 he moved to Paris where he attended the Académie Julian. There he met Louis Valtat, Paul Ranson, Georges d'Espagnat and Henri Bataille. Renoir first saw André's paintings at the 1894 Salon des Indépendants and he was so impressed by his work that he recommended André to the dealer Paul Durand-Ruel. A close friendship was formed between the two artists which was to last until Renoir's death. As a tribute, André published two works on the master: Renoirin 1919 and L'Atelier de Renoirin 1931. He exhibited regularly at the Salon des Tuileries and the Salon d'Automne until 1944. In 1918 he took up the post of curator at the museum of Bagnols-sur-Cèze, Fondation Léon Alègre. 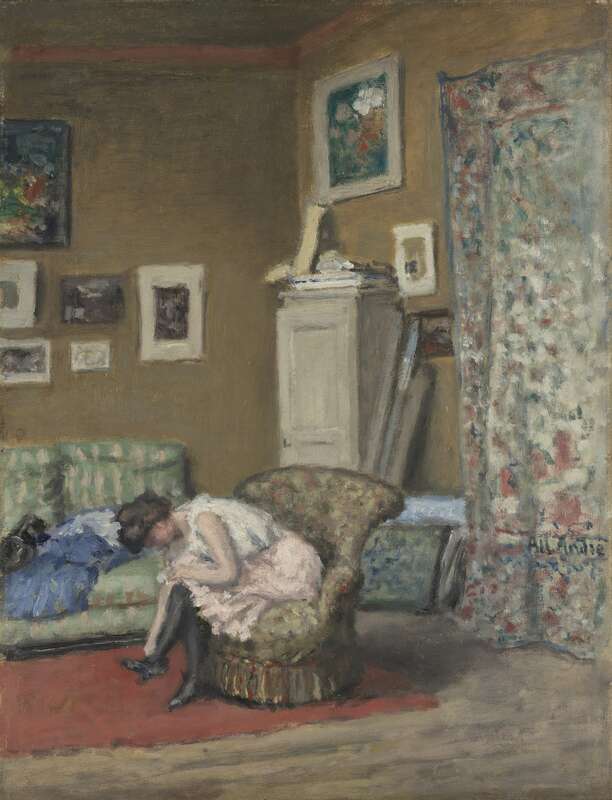 As curator he acquired an important collection of modern art including works by his friends and contemporaries, Vallotton, Maufra, van Rysselbergh, Bonnard, Vuillard and Matisse. He spent the rest of his life dividing his time between his museum duties, writing and painting. At the beginning, André's works were close in colouring and subject to the Nabis painters Vuillard and Bonnard but soon Renoir became his major inspiration and at various times both the ideas of Impressionism and Post-Impressionism can be seen in his works. 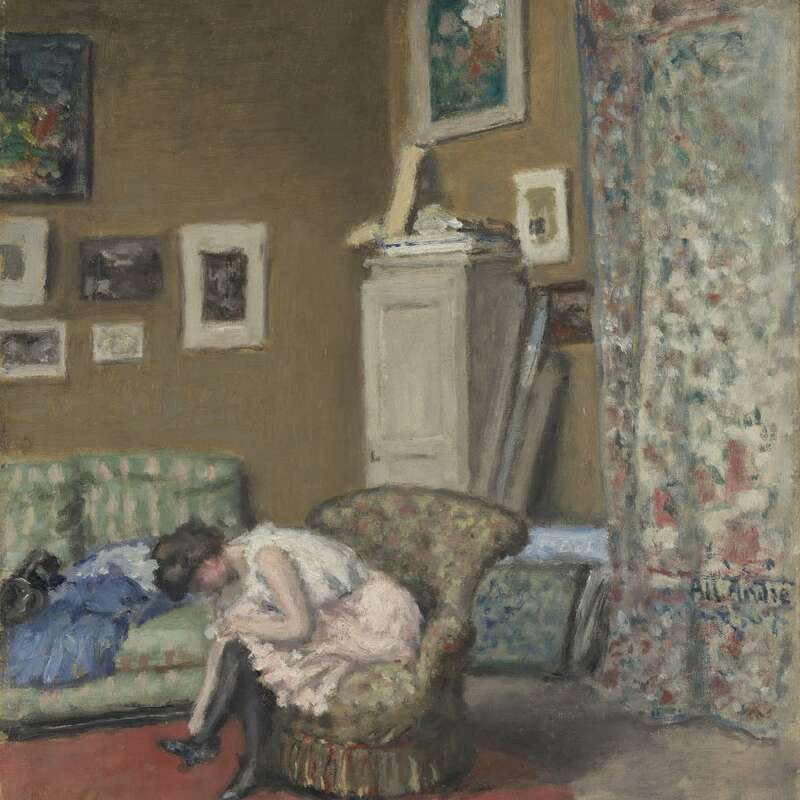 The works of Albert André are represented in many important museums, including the Museum of Modern Art, New York, the Chicago Art Institute, the museums in Philadelphia and Washington DC, and the Musée D’Orsay in Paris.